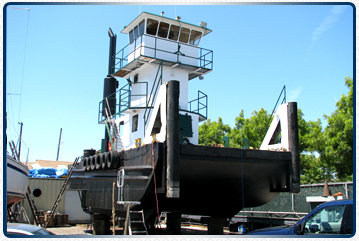 39' x 19' Triple engine Push boat with Flanking Rudders Recent Haul and Prop Job Props are 42" outside and main prop is 55"
160'x45'x12' Smith Berger roller fairleads and sheaves. 2, 90' spuds , 4, 10,000 pound anchors with balls. Tool room, break, room, and office. Engineered for a 200T with crane mats and tie downs. It has 2, 3 drum Clyde frame 7 winches by Smatco..
Six available For Sale or West Coast Lease: Purchase, $150,000.00 Per pair or $85,000.00 individual. 100' by 34' Work Platforms, with spuds. 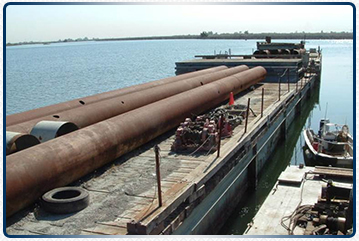 They can be made up in different configurations to accommodate your project. 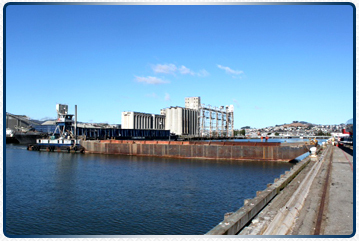 Possible uses: fixed piers, floating docks, crane barges or wharfing. Build date mid-2001. They each have 4, 75' by 36" x 1” steel spuds and 2 framing platforms (Ledgers) of 15' by 20'. They displace 300,000 Lbs. 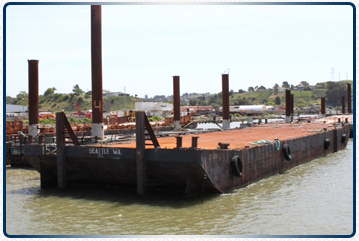 (Barge only) and were built to box in the bridge girders for infill work. 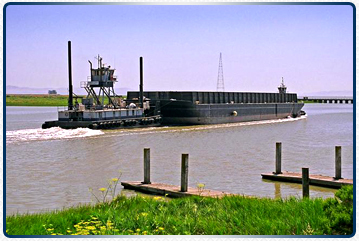 Each barge has 3, 4000 Gallon mud tanks. The decks are completely covered with 6" x 12" timbers. Plans are available on request. Overall condition is very good. 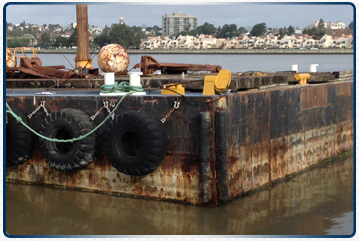 They are located in fresh water, with ocean access, on the West Coast, near San Francisco. Thank you for your time. Rob 1-800-722-6789. Brokers add commission to sale price or 7.5% lease total.